Extend equipment life with our unique 3 μm filtered tank vent. 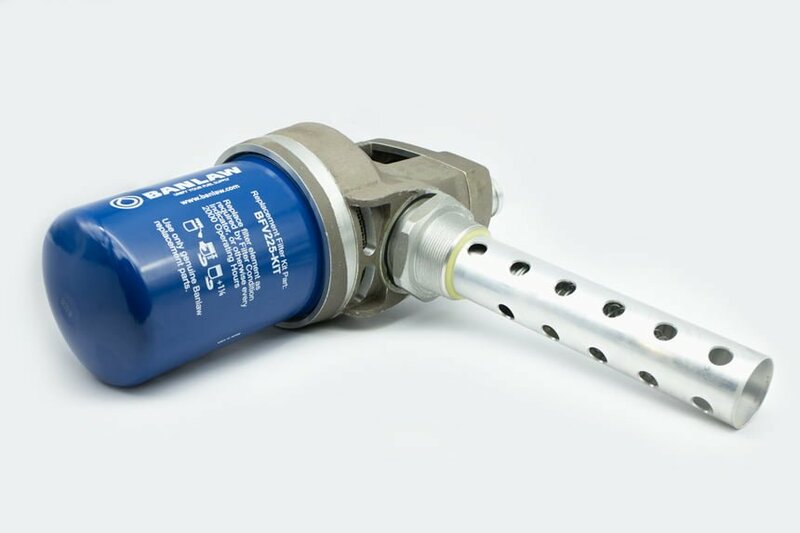 Our patented Fine Filtered Vent prevents damaging airborne contaminants from entering fuel tanks and other fluid storages, whilst also maximising the efficiency of high speed refuelling processes. Banlaw’s Fine Filtered Vent has been designed to filter airborne particles through a 3μ abs. filter, whilst by-passing outgoing air past the filter element. Standard tank breather filter systems are known to cause tank over-pressurisation when blocked. The volume of potentially contaminated air entering a tank equals the volume of fuel (or other fluid) being dispensed. Installing ‘ultra-fine’ (≤4μm) filtered tank vents is not only recommended by many major diesel engine OEMs, but has been proven to significantly increase the life of fuel systems and engine components. Emissions are controlled (Tier 4 levels are mandated in some areas).